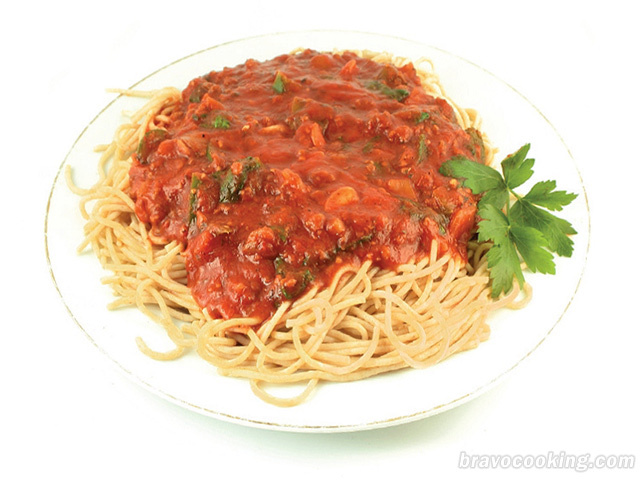 This spaghetti sauce is thick and rich in flavor, and a hit with kids too. The great thing about this sauce is you can freeze it and quickly thaw in the microwave. It tastes better and is much cheaper than spaghetti sauce in a jar. Brown the ground beef in a skillet and add onions and garlic, sauté until tender. Dump canned tomatoes into a blender and puree. Add the remaining ingredients and simmer on low heat for four to five hours, adding water if needed. This recipe makes about 10 cups, plenty of sauce to use some immediately and freeze some for later.